Whistleblowers such as Private Bradley Edward Manning (whose name was legally changed to Chelsea Elizabeth Manning in 2013) and former National Security Agency employee Edward Snowden who step forward to reveal crimes committed by the US government to the citizens paying for them are branded by officials as traitors, and thereby arrayed in the same category as Anwar al-Awlaki. But to reinterpret non-violent dissidence as a form of treachery is to step onto a continuum at the end of which only totalitarianism lies. Under fascist regimes, those who sympathize with dissenters come to be branded as traitors by extension. The concept of associate, crucial to the White Paper, is notoriously vague, and does not bode well for the future of an open society. It is precisely through this sort of bureaucratic neologism that governments initially supported by the populace can devolve into dictatorships, as happened throughout postcolonial Africa and Latin America during the Cold War. Those who would suppress dissent from all US policies, even when they are demonstrably criminal, fail to recognize that the laws of democratic societies have progressed morally only as a result of the willingness of some people to stand up for what they believe to be right and to protest against what they believe to be wrong. Is it even conceptually possible, in a genuine democracy, to decry as ‘enemies of the state’ persons who oppose US military practice, when it is the right of every citizen to have opinions and to express them? Dissidents such as Manning and Snowden – and soldiers such as Camilo Mejía who refuse to redeploy to what they have come to believe are criminal wars – are cast as traitors not for their potential or intention to kill US nationals but because they supposedly ‘inspire’ others to do so, just as Anwar al-Awlaki did. When the soldiers of formal military institutions demur from the campaigns in which they have been deployed, as did Private Manning, who disseminated hundreds of thousands of classified cables and video footage documenting war crimes, they are castigated as criminals by those who perpetrated the very crimes illuminated. Manning was not executed but sentenced to thirty-five years in prison for attempting to reveal to US taxpayers what their money was being used to fund. The fact that the revelations painted the US government in a negative, even evil, light was perversely blamed upon the whistleblower, when in fact the fault lies only with those complicit in the scandals exposed. With millions of persons holding high-level security clearances in the private-contracting age of the military, there is no way to guarantee that state secrets will be kept, as was demonstrated unforgettably by the disclosures of Edward Snowden in June 2013.133 Surely another dissident will pop up again in the not-too-distant future out of the many people potentially capable of accessing and sharing classified documents. Aggressive covert foreign policy initiatives are shortsighted and misguided in that they commence from the assumption that no one will ever find out – or if they do, they won’t care. But the people on the ground, the victims, find out immediately, and the bereft survivors do care, and some among them decide to retaliate violently against what they take to be crimes. Assuming that these mass exposures of the dark side of US foreign policy will continue on the current schedule (every two years or so), the US government would do better to change its ways than to lock up the whistleblowers and throw away the key. Such dissidents are easily replaced – as readily as insurgents and fledgling terrorists – whenever the galvanizing war crimes persist. The sentencing of Private Manning to thirty-five years in prison will not deter dissenters from taking action in the future. Instead, they may follow the lead of Edward Snowden and seek political asylum in other lands rather than face discreditation and indictment by the perpetrators whose much worse crimes have been brought to light. Ultimately, all ‘state secrets’ in a democracy will be declassified, after which the ugly truth of what was done will become a matter of common knowledge. Invoking ‘State Secrets Privilege’ protects the wrongdoers from the disgrace of what they have done only in the short term. If one of the ‘kill committee’ members suffers a crisis of conscience (as did former US Secretary of Defense Robert S. McNamara many years after the Vietnam war134), then perhaps among the revelations of the future will be the guidelines used and the evidential bases for adding names to the US government’s hit lists. The blame in all cases where war crimes are finally exposed falls squarely on the shoulders of the perpetrators: had they done nothing wrong, there would be nothing to air. The only way to contain fallout over the secrets revealed is to avoid committing what are widely regarded as crimes. The claim so often made by patriots in defending mass surveillance – that no law-abiding citizen should worry that they are being watched and their communications sifted through – applies equally well to the governments whose activities are made public by whistleblowers. Plato observed more than two thousand years ago that the best way to achieve the reputation of a moral person is to act as a moral person would. The same sage advice is no less applicable to government administrators. Drone strikes are one example; cyberattacks are another. Cyberterrorists, too, can look to the United States for normative guidance, just as nations clamoring for nuclear weapons have always done. It is impossible to take seriously the denunciation by US spokespersons of hackers such as Snowden when behind the scenes, in covert operations, the US government has undertaken not only spying but pernicious attacks against other regimes, as when a computer worm was introduced to destroy centrifuges in Iran with the intention of preventing that government’s production of a nuclear bomb.135 The hypocrisy in that case is multidimensional, given that it is the United States’ own possession – and use in 1945 – of nuclear warheads which motivates other states to acquire such weapons in order to have some chance of repelling a preemptive attack (as in Iraq in 2003) through deterrence. If crimes are not committed, then they cannot be exposed. Whether or not whistleblowers unveil the crimes to the populace on the other side of the world who pay for them, the local people directly affected are all too aware of what happens on the ground. The opinions of the residents of communities under siege are shaped by what actually transpires, by what they witness with their own eyes, not the official story of administrators already confirmed as liars. Americans may have believed Obama’s targeted killing program director John Brennan when he claimed in 2011 that no civilians were killed by US drones in Pakistan during the previous year. However, the people living there who have witnessed the cratering of homes in their neighborhoods know the truth, and some among them join forces with violent terrorist groups in response to what they take to be the evil US regime. The profoundest irony of all in allegations that Private Manning and Edward Snowden ‘aid and abet the enemy’ is that the true inspiration for not only their acts of dissidence but also the vast majority of recent terrorist attacks are the homicides committed by the US government. In reality, the US government would seem to be the most significant ‘spiritual supporter’ of its very own enemies, if this reasoning is followed to its logical limit. Manning and Snowden have done no more than reveal to Americans what precisely they are paying for when they file their federal taxes each year. 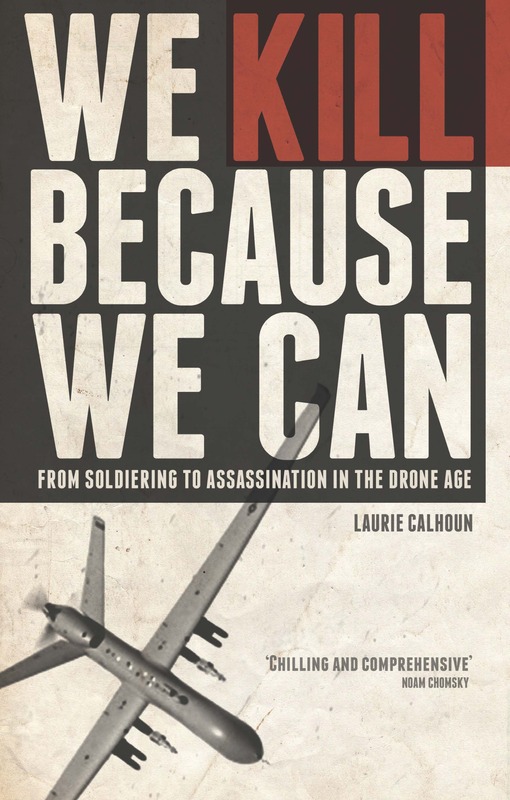 The drone killing program remained an official secret for years, but as ignorant as Americans may have been about the crimes committed in their name and paid for by them, the ‘top secret’ missions were all too familiar to the victims abroad and their bereft survivors, in addition to the international journalists and NGOs who investigate allegations of war crimes. Withholding the facts from the US citizens who pay for drone attacks serves no purpose beyond short-term political expediency: to protect those in office so that they can retain their current positions. Far worse, such secrecy positively endangers Americans, who may have no idea why they should be in peril if they embark on journeys abroad to places where US policies have angered locals. Private Manning was charged with, but not convicted of, ‘aiding and abetting’ the enemy. The high-level policymakers such as George W. Bush, Barack Obama and their delegates, whose authorizations led to the killing of innocent people located in so-called hostile territories, are surely the principal parties guilty of aiding and abetting the enemy, for they, more than anyone else, have inspired people to join forces with terrorist groups in retaliatory quests for revenge. The Pentagon first announced back in 2011 that they would regard cyberattacks as bona fide acts of war, to which a military response would be appropriate. That sounded like a policy statement to me, which educated citizens of a constitutional republic might have thought should be issued by political leaders, not warriors. Everyone in the mainstream media pretty much yawned and went on with whatever they were doing, mostly parroting Pentagon announcements about “suspects reportedly slain” touted as “victories” in the eternal “war on terror”. The Pentagon recently boasted that they had eliminated twenty-one-year old Junaid Hussain, a British national and “top” hacker for ISIS—a “high-value target”—so now they have put their missiles where their mouth is and demonstrated that they meant what they said: hackers, too, are “unlawful enemy combatants” and therefore legitimate targets for annihilation. Here’s hoping that Edward Snowden heeds the dictates of prudence and stays put, under the circumstances. It all started with the attacks of September 11, 2001, which were responded to as though acts of war waged by a formal state, even though they were planned and carried out by a relatively small group of people, most of whom hailed from Saudi Arabia, not from Afghanistan or Iraq. Once Osama bin Laden and most of the perpetrators had been killed, the military set its sights on other people, who looked a lot like Bin Laden but possessed nothing like his power to orchestrate attacks on US soil. Unfortunately, Barack Obama, despite having been elected on the promise of “hope and change”, has essentially signed-off on whatever the Pentagon and the CIA want. The US has been sliding down a very slippery slope since the events of September 11, 2001, waging preemptive wars, rendering suspects to torture-friendly countries and no-law zones, and redefining the meanings of previously well-understood terms such as defense, imminent, and last resort. Obama, going well above and beyond the call of MIC duty, transformed his own authority to wage war into a blanket power of summary execution, and then proceeded to confer it on the self-styled czar of targeted killing, John Brennan, before appointing him director of the CIA in 2013. Under Brennan’s drone warfare watch, Anwar al-Awlaki had been successfully branded as “the Bin Laden of the internet”, and many Americans concluded that the extrajudicial execution of a US citizen, too, was therefore just. No matter that Al-Awlaki’s complaints about the US war on Islamists were not without substance. No matter that Al-Awlaki appears to have shared the US government’s conviction that death is the solution to political conflict and revenge killing fully justified. As the probability of big inter-state wars à la World War I and World War II has become ever more remote, given the disproportionate size and wealth of the US military, and as 9/11 fades from memory, dwarfed by the carnage committed in retaliation to those crimes, it should start to seem obvious why unbridled military responses are being made to any- and everything. Financial supporters of dissident groups have been targeted, as have “propagandists”, and now hackers. In the olden days, such persons would be considered criminals, not warriors, for they bear no arms. In the Drone Age, they are being executed without trial. Presumption of innocence is so twentieth century. Playing the Bin Laden card may work politically as a public relations strategy for the people paying for drone strikes. It is much less effective for the people of other lands who witness the extent of damage caused and are traumatized by the killing machines hovering above in the sky. But there’s no need for policymakers to regroup and, say, read the Stimson Center report. Why not? Because killing people is much easier than doing anything else. Simple, satisfying and, above all, excellent for politicians’ ratings. Junaid Hussain was about six years old on September 11, 2001. He was about eight years old when the United States, with Britain’s blessing, waged a preemptive war on a sovereign nation at peace. Somehow during his adolescence, Junaid Hussain became an accomplished hacker and allied himself with ISIS, a group which did not even exist until after the 2003 invasion of Iraq. Clearly this young man was intelligent and talented—that’s why he was labeled a “high-value” target. But why did he direct his considerable talent to the cause of ISIS? The same question can be asked of Anwar al-Awlaki, who publicly decried the attacks of 9/11. A decade later, he was taken out by a drone, as was his son, Abdulrahman, just after his sixteenth birthday. No one claimed that Abdulrahman was a “high-value target”, so perhaps he was killed preemptively, to avoid his transformation over the next five years (when he would have been Junaid Hussain’s age) into a sympathizer with radical Islamist groups such as ISIS. Or maybe it was just a mistake. “Mistakes are made.” “This is war.” Well, sort of. The reasoning of the people running the US drone program appears to be that, if killing innocent people in attempts to kill evil people ends by causing the ranks of terrorists and their sympathizers to swell, then so be it. They will be killed as well. There will always be plenty of Hellfire missiles to go around, so long as someone profits from their production. Many people have issued warnings about what has grown to be the military-industrial-congressional-media-academic-pharmaceutical-logistics complex. I would suggest that we have now moved beyond oligarchy and plutocracy to something closer to necrocracy: rule by death. Not satisfied with simply eliminating the architects of 9/11, the Pentagon continues to cast about for more and more people to kill. Why? Because that’s what they do: kill people. Hackers? Been there, done that. Who will be next? Antiwar protestors? Or perhaps they’ll come over to William Bradford’s way of seeing things and target legal scholars who step out of line.